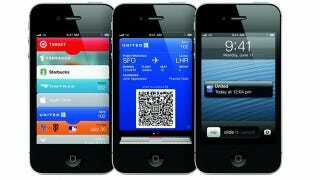 Recently Apple announced Passbook, a new mobile wallet that will debut in iOS. Its existence prompted speculation that future iPhones will include NFC—and now 9to5mac is reporting that new iPhone prototypes feature the technology. 9to5mac has previously analyzed data from two new prototype iPhones, codenamed N41AP and N42AP. But their latest investigation reveals that those same prototypes appear to have Near Field Communication (NFC) controllers directly connected to the power management unit (PMU). Among the massive speculation about what the next iPhone will look like, the small inclusion of NFC perhaps seems trivial. But if the rumor turns out to be correct, it will see Apple poisitoning itself in direct competition with Google Wallet and another similar service unveiled by Microsoft last week.